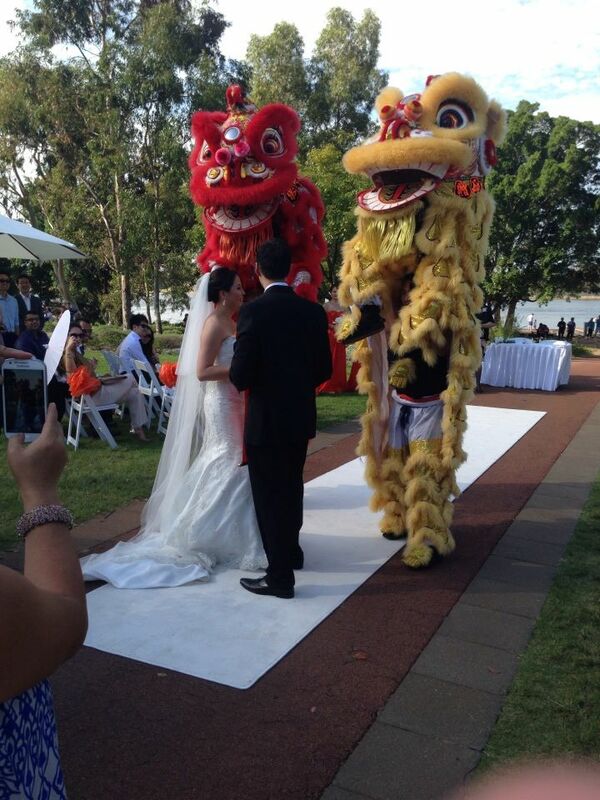 The CCC Lion Dance Troupe were honoured to perform at the Wedding of Charles and Penny. Charles was a former member of the CCC Lion Dance Troupe, and is also a close friend to the members of the troupe for many years. The Troupe were delighted to be able to be part of this joyous occasion. 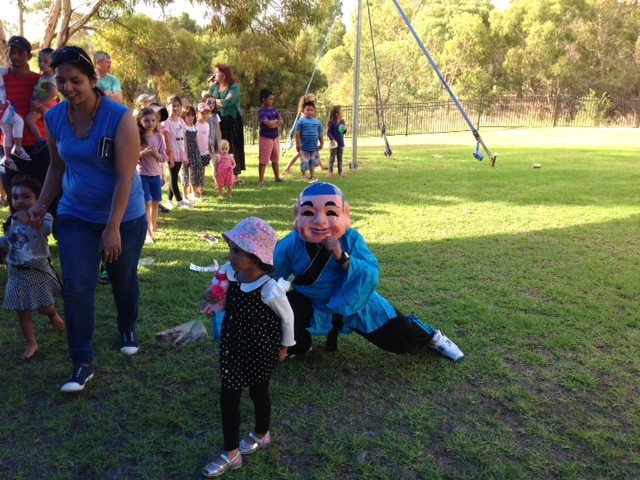 The ceremony was held at Mardalup Park in East Perth, in which all was blessed with a nice sunny day. 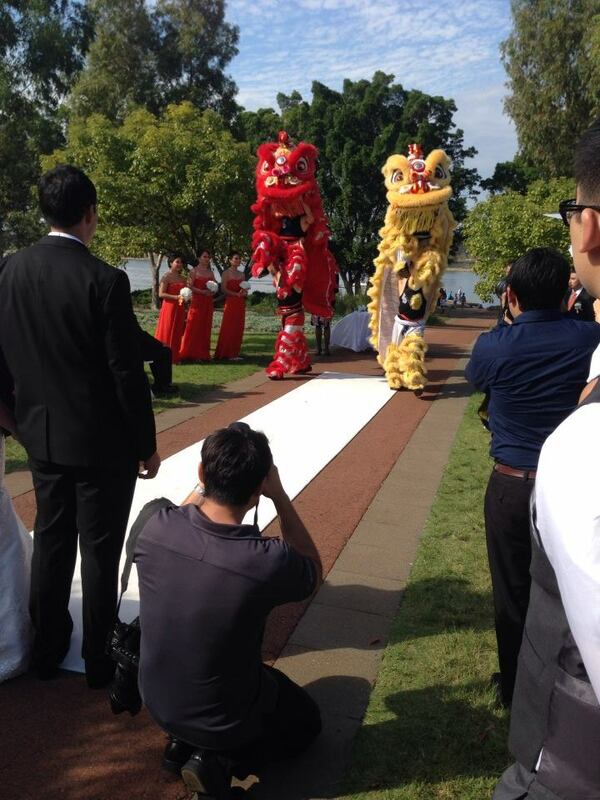 When it was announced that Charles and Penny are now man and wife, the lion dance started with the lions walking down the walkway to congratulate and bless the bride and groom. The lions ate the red packets provided by the families of the bride and groom, and then gave the bride and groom good luck scrolls blessing their marriage. 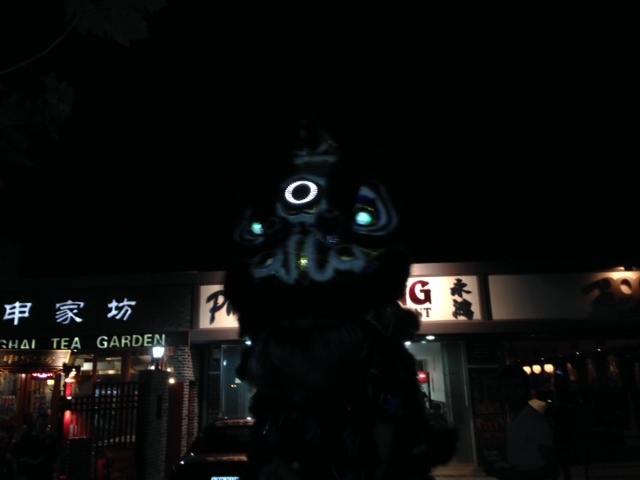 The CCC Lion Dance Troupe will like to congratulate their brother, Charles, and Penny on their new journey together. May this journey be one fill of great memories, in which we are able to share with. The City of Vincent launched a project that invited artists from around the world to draw inspiration from the central William Street, Northbridge Precinct. The project launch started at the Turner Galleries in which maps were given to the guests of the artwork that is installed throughout the Precinct. 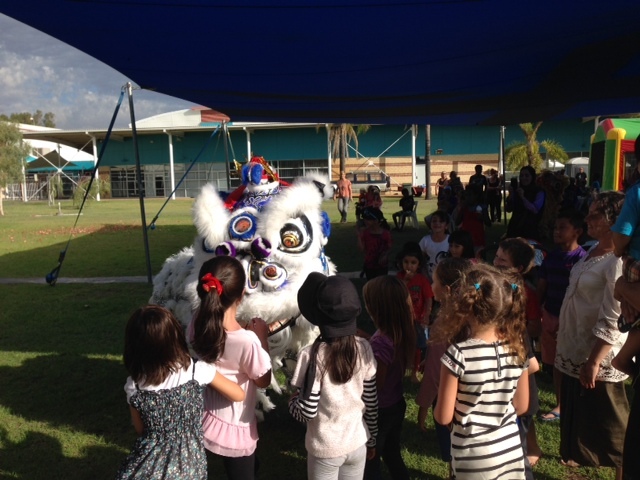 The CCC Lion Dance Troupe was used as an artwork as part of the artwork launch. 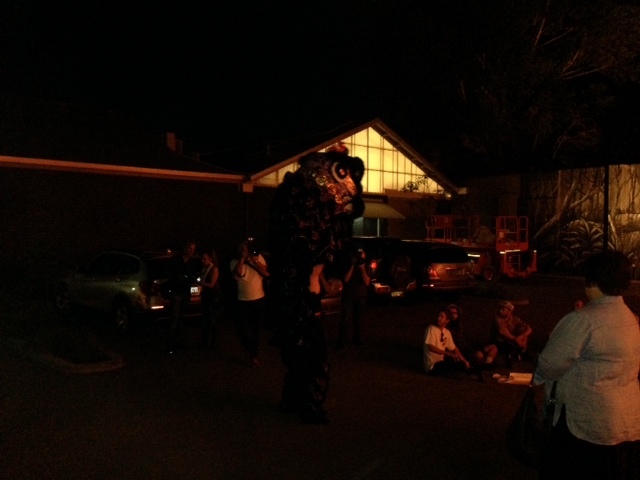 2 weeks prior to the launch, The CCC Lion Dance Troupe with artists Casey Ayres, created an artwork in which the lion will roam down William Street interacting with pedestrians, restaurant guests, and exploring the streets and alley ways of William Street. On the night of the launch, a lion started roaming from the Turner Gallery and down William street where a number of the artworks were displayed. The Lion roamed and finished at the artwork display created by Casey of the lion roaming down William Street. The artwork was displayed on a wide screen TV which shows the piece of the lion exploring the different cultures of William Street. The CCC Lion Dance Troupe will like to thank Casey Ayres for the collaboration in creating this artwork. Was definitely a great unique experience and we are proud to be part of it. 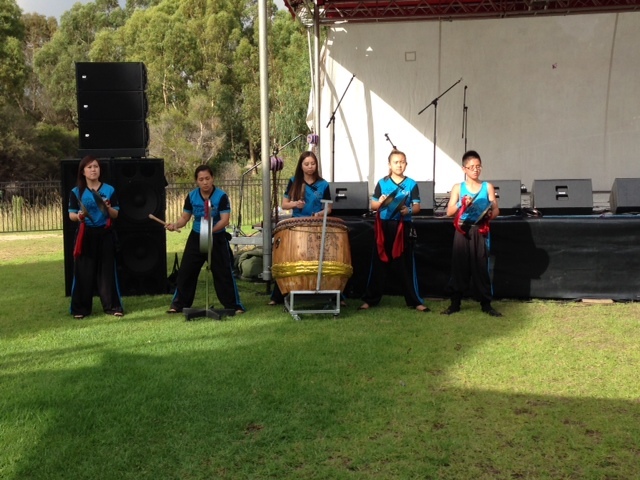 The CCC Lion Dance Troupe again performed at the Altone Comes Alive fair, which was located at Altone Park. The Festival featured many different cultural food stores, kids activities, and cultural performances. The event had a great turn out, like it does every year, with all who attended enjoying the entertainment provided. 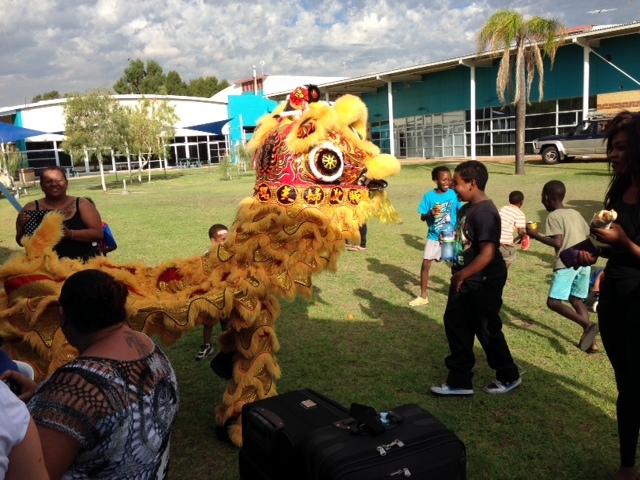 The CCC Lion Dance Troupe will like to thank the staff from the City Of Swan for yet again inviting us to be part of this wonderful event.